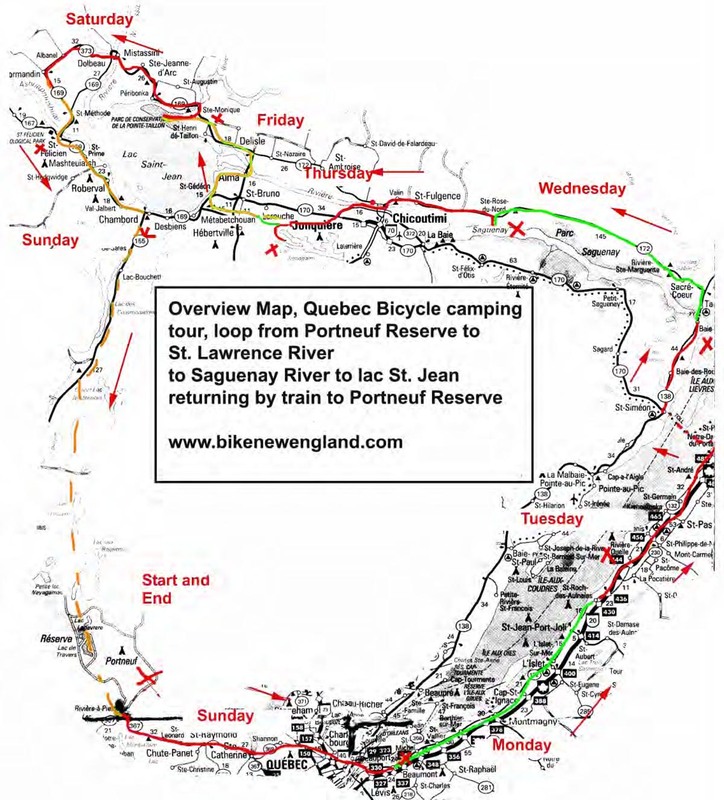 In July, 2007, we spent 9 days on a bicycle camping trip that took us along the Saguenay River, the only fjord on the North American Continent, all the way to Lac St-Jean, the last major outpost of civilization north of Quebec City. Throughout most of the trip, we were able to follow la Route Verte, Quebec’s 5000 km network of paved, crushed stone, and on-road bicycling routes. Portneuf Reserve: We drove from Massachusetts to the Reserve Faimoqie de Portneuf in Riviere-Pierre, Quebec, about 50 miles west of Quebec City for the start of our trip. After camping there overnight, we left the car for the week and started our trip that would take us 520 miles through Quebec City, along the south shore of the St. Lawrence, north along the Saguenay River, then around Lac St-Jean, ending with a 3 hr. train ride back to where we started and the drive home. 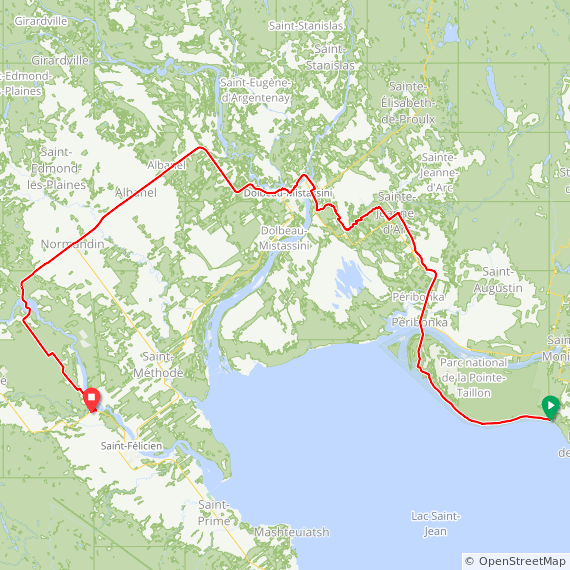 Day 1: Riviere-a-Piere to Beaumont (65 miles). We packed up our tents and gear. Deb and Michael both use rear panniers on their bikes, while Gordon prefers his Bob Yak. We set off on the Piste Jacque-Cartier/Portneuf , a 68 km stone dust trail from Riviere-a-Piere to Saint-Gabriel-de-Valcartier near Val Belair. 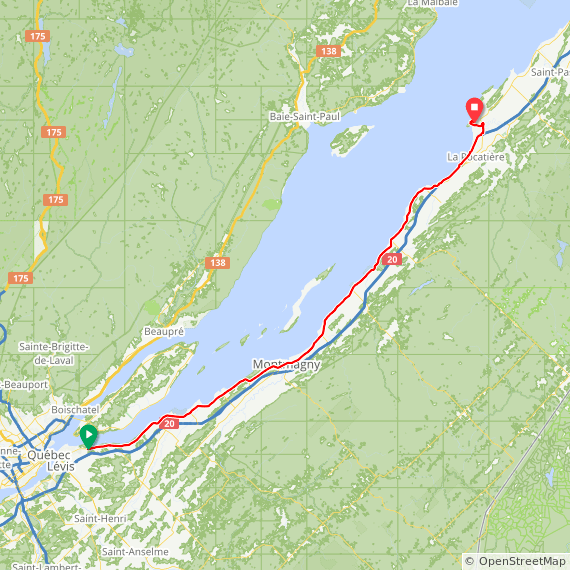 From Saint-Gabriel, we continued on the paved Corridor des Cheminots – 22km to Quebec City. Near the port area it connects to the Corridor du Littoral for about 9 km which took us to the ferry which crosses the St. Lawrence ferry from Quebec City to Levi from the port area to Levi. Reaching Levi, we continued an additional 9 miles along the Le Parcours des Anses”, Levis’ bicycle trail to Beaumont, on the St. Lawrence opposite Quebec City. 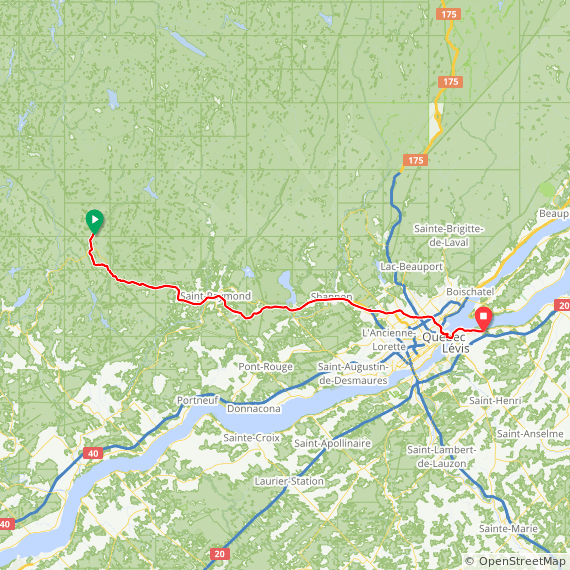 Day 2 : Beaumont to Riviere-Ouelle (75 miles). Heading northeast now along the south shore of the St. Lawrence River, we took the Route Verte’s on-road bike lanes called the Veloroute des Migrations, which detour through all the beautiful small towns that line the river. We camped tonight at nicely run Camping Riviere-Ouelle. This side of the river is relatively flat with a few easy climbs over the bluffs. 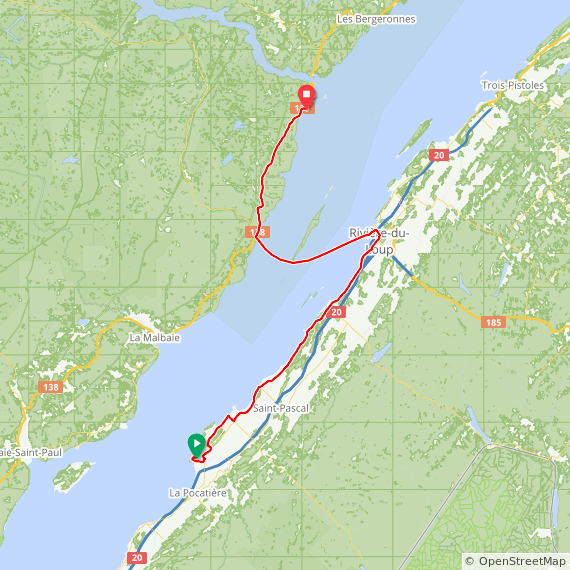 Day 3: Riviere-Ouelle to Baie Ste-Catherine (80 miles). 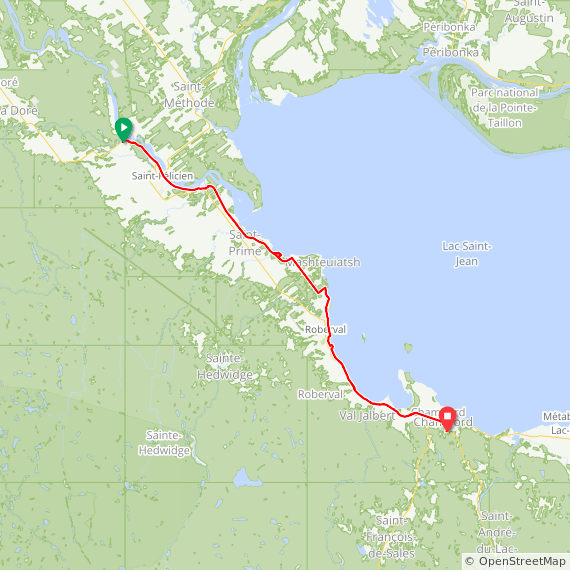 We biked 38 miles from Riviere-Ouelle to Riviere-du-Loop and took the 1:45 ferry, a one hour crossing to St-Simeon on the north side of the St. Lawrence in the Charlevoix mountainous area. 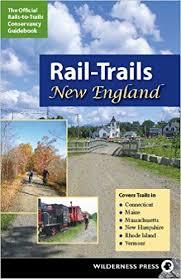 Until now, our ride had been relatively easy with gentle climbs and a steady strong tailwind. Even loaded with gear, we had been able to maintain a 20 mph speed for miles. That all changed as we rode out of St-Simeon with a mile long 12% grade climb in 90+ degree heat that forced us to get off the bikes and walk! After cooling off at the top, we continued for 22 miles of steep rolling hills on Rt. 138 to Baie-Ste-Catherine. We stayed at Camping du Fjord, with our tents on a rise with a gorgeous view of the Saguenay-Tadoussac bay. 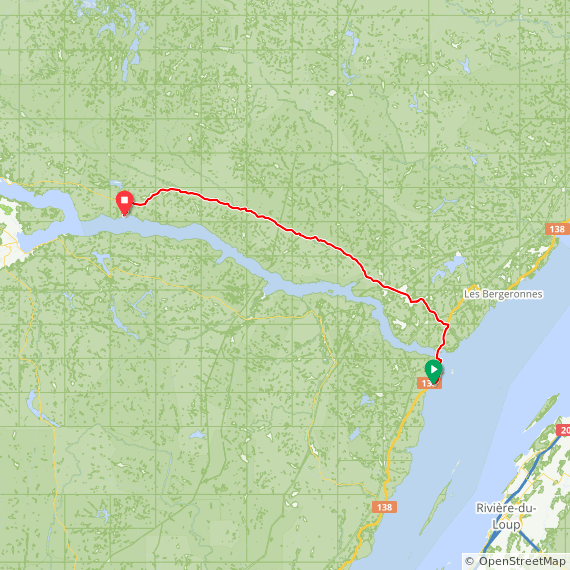 Day 4: Baie-Ste-Catherine to Saint-Rose du Nord (60 miles). After breaking camp in Bay St-Catherine, we soon enjoyed a thrilling descent to where the Saguenay River flows into the St. Lawrence. We took a quick ferry across the Saguenay to Tadoussac, still on Rt. 138 . A half mile steep climb took us over the mountains that surround the city, and we turned north on Rt. 172 along a river that flowed between the mountains that border the east side of the Saguenay Fjord. This was our first taste of wilderness cycling, with 40 miles of endless climbs with fantastic scenery. We reached the remote and historic town of Sainte-Rose-du-Nord, and camped at Camping La Descente Des Femmes. The place had seen better days, but was a short walk from the town’s harbor. Day 5 Saint-Rose du Nord to Lac Kenogami (58 miles). Leaving St-Rose-du-Nord meant a steep two mile climb back to the highway, followed by another steep two miles before the first break. We continued climbs and descents for about 30 miles, before finally reaching the miles-long descent to the city of Chicoutimi that we had heard about. After 70 miles in a virtual wilderness interrupted primarily by the rush of logging trucks up and down the hills, we had made it to the source of the beautiful Saguenay River. This thickly populated area continues on through Jonquiere, and we found ourselves primarily on paved bike trails through the cities, and a very sweet abandoned rail trail that crossed the mountain between them. Tonight we camped at the Centre touristique du Lac-Knogami, a very nice wooded campground with no RV’s to be found. 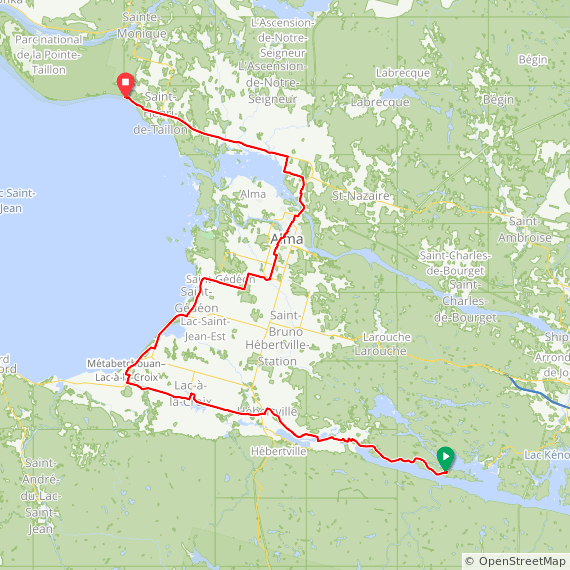 Day 6: Lac Kenogami to Pointe-Taillon, Sainte-Monique, (60 Miles). Today we reached Lac St-Jean, our destination. The Veloroute des Bleuets has been completed around the entire lake, varying from paved rail trails to on-road with shoulders, and a few stone dust and gravel sections. The bike route crossed several spillways that gave us great views of the lake and the rapids below. One of the nicest sections of the ride was the stone dust trail at Pointe Taillon, a wildlife sanctuary. After reaching the end of that trail, we camped at the very nice Center Touristique Sainte-Monique. The entire Lac St-jean area is very isolated from the rest of Quebec, and few people speak any English at all. Be prepared that wherever you choose to eat, frites (French fries) come with the order. At some restaurants, there were 20 choices of poutine, a regional favorite of French fries covered with gravy and cheese. 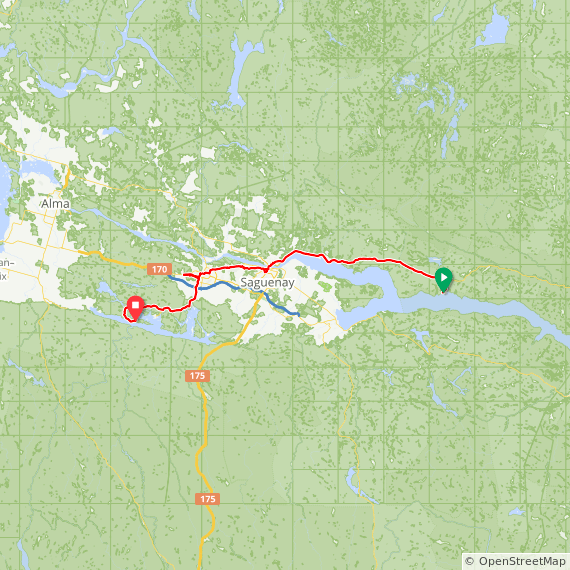 Day 7: Pointe Taillon to St-Felicien (75 miles). 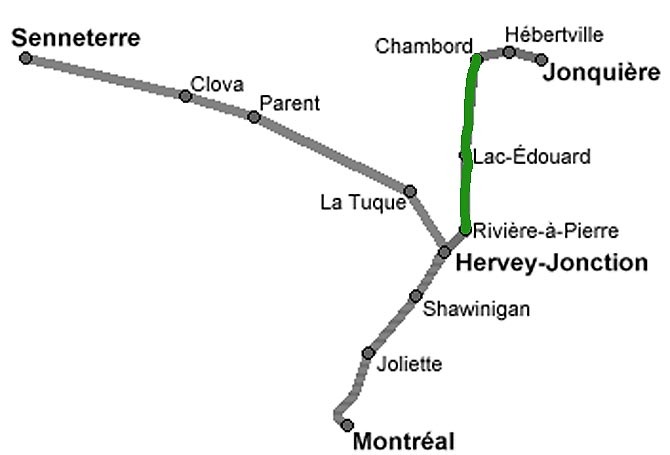 The Route Verte 8 and Veloroute des Bluets leaves the lake for this section, taking us through several towns at the edge of civilization as we know it. After passing through Dolbeau-Mistassini, we rode through a town celebrating its gourganes (lima beans), which make a popular regional gray soup. Finally turning south, we got a great tailwind which brought us to St-Felicien, home of a world-famous zoo where the people walk in cages instead of the animals. We stayed at Camping Municipal St-Felicien, close to some amazing rapids. Return to Portneuf: Just after noon we boarded the Canada Rail train formerly known as “The Saguenay,” and rode a little over 3 hours from Chambord back to Riviere-A-Pierre, passing through beautiful Portneuf and Laurentide mountain countryside that is serviced only the train with no highways. A short ride from town back to the Portneuf Reserve, packed the car still there waiting for us, and we headed back home.